Outgoing postcard US-2545674 to Poland shows the intersection of Fifth and Fremont Streets, downtown Las Vegas in a historical photo. 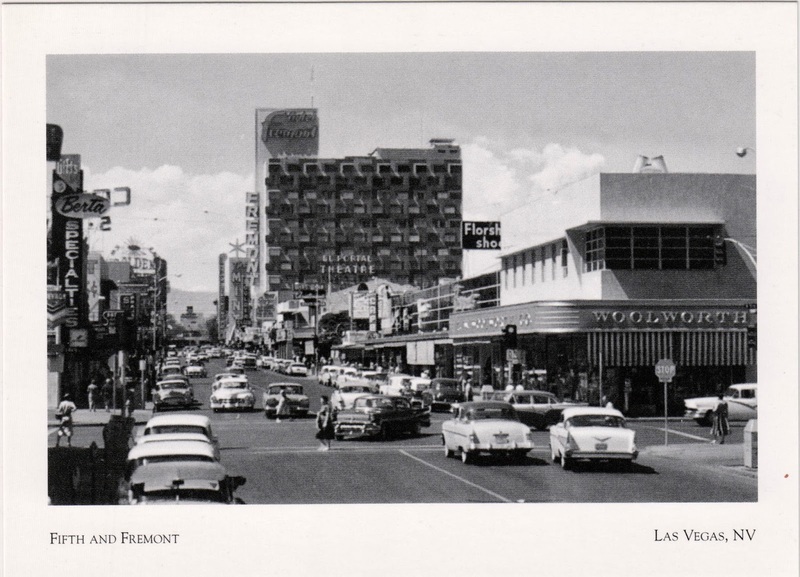 Today Fifth Street is known as Las Vegas Boulevard. On the corner of Fifth and Fremont was Woolworth's anchoring the corner. It had a soda fountain and grill inside where many youngsters could be found twirling on the bar seats enjoying a frosty root beer float. It opened in 1948 and remained on Fremont Street for almost fifty years until 1997 when the chain closed the remaining Woolworth's around the country.